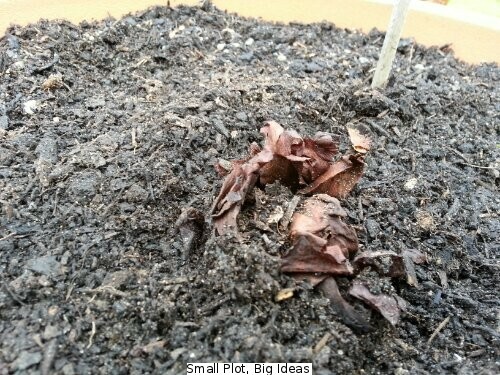 The rhubarb crowns that I planted in pots earlier are beginning to show signs of life although the fact that I originally planted one on its side probably didn’t help. My excuse is that it wasn’t easy to figure out which way was “up” when I received the crowns through the post. Luckily I had my doubts within a few days of the originally planting them and it was a quick thing to fix with hopefully no adverse effects on the growth and future cropping! Although i planted both varieties in matching pots with the same compost, it’s the Stockbridge Arrow variety which is looking the best. Perhaps this is the result of using bubble wrap over that pot instead of the horticultural fleece which covered the pot with the Champagne variety? These pictures really highlight the difference and if I wasn’t such an optimist I might have had thoughts of giving up on the Champagne variety. 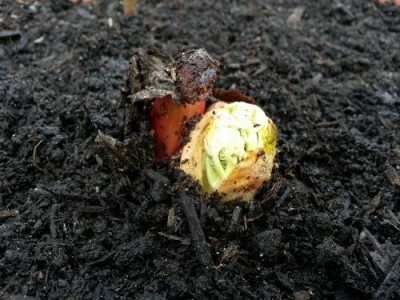 However it’s still very early days and I’ve never grown rhubarb before so it makes more sense to keep an eye on it and let nature do what it does best. They can be easily transported with us when we move house and I have no other use for those pots at the moment! 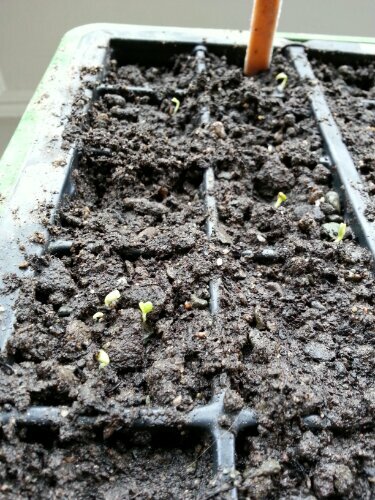 The cheap lettuce seeds I bought in the sales that were planted only last week are already showing promise which encouraged me to plant some more vegetable seeds this weekend. This even included some beetroot and peas in the garden veg beds which had been covered for a few weeks in preparation. The cloches went straight back on again afterwards as well because the weather is unlikely to be in my favour just yet! I’m also choosing to ignore the fact that with any luck our house move will take place before these reach a suitable point for harvesting – the new owners can treat them as a house-warming present though. I hope I don’t regret that in the future when I have too many plants and nowhere to put them. I can always give them away I suppose so watch this space in the coming weeks as there maybe a vegetable plant give away!